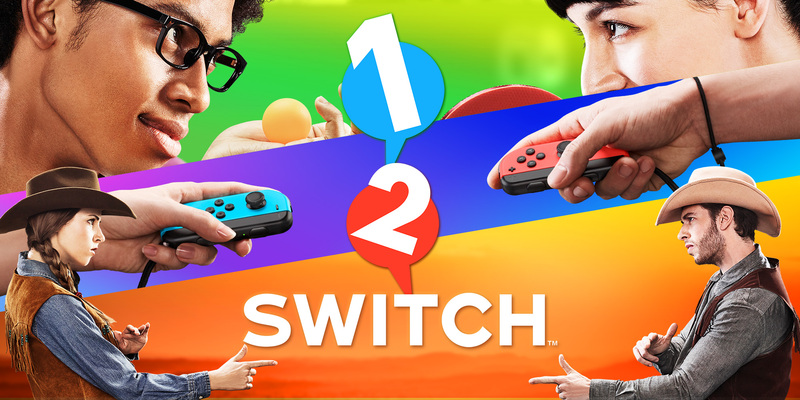 1-2-Switch: Why It’s #1… and #2! 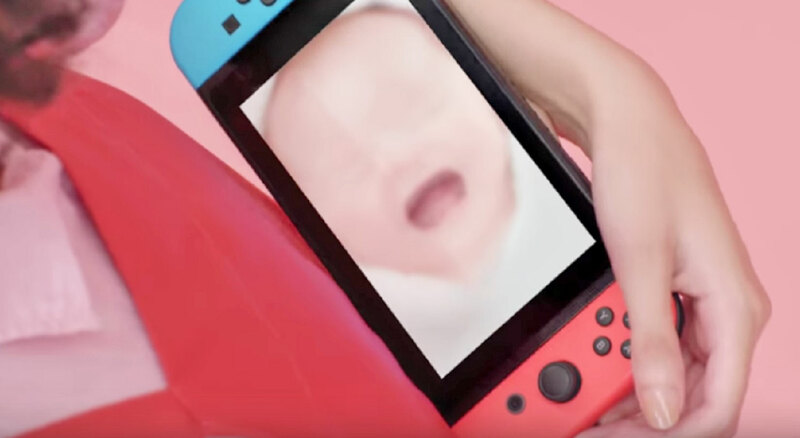 1-2-Switch, to say it gently, had mixed reactions after its release. We’re going to start this article by analyzing why there seems to be people giving it positive reviews, and many critics bashing it. Once we’re finished looking at that, this article will rank the 1-2-Switch games from best to worst, and sort them into three categories! To me the issue is simple. It all comes down to audience. League of Legends is a wildly popular strategy game that has taken the world of gaming captive. I’ve tried it, and it’s not my cup of tea. 1-2-Switch is judged harshly because it is being judged by gamers. If you were expecting 1-2-Switch to be a gamer’s game, or even on the level of Mario Party, you are sadly mistaken. From its reveal its intention was clear; don’t look at the screen. With a goal like that, you immediately understand that it’s not aiming to be a video gamer’s game. This game is PERFECT for any sort of gathering. It is more accessible to everyone than Wii Sports was. It is instantly “get-able”, and most mini-games can be jumped into without any explanation. I have yet to find a non-gamer that did not find it to be a blast. All these things about audience being said, that does not mean that this game is completely without flaw. There is enough here to keep the crowd entertained for some time, but some experiences were clearly missteps. I believe that all of the 1-2-Switch mini games fall into one of 3 categories: 1) enjoyable games, 2) games, at least, 3) unplayable messes. We’ll start with the best and work our way down to the worst. 1. Fake Draw: This is the genius of the Switch all in one mini-game. It’s a super simple premise with a little extra strategy added. You need a quick wrist and a trained ear, and it’s perfect to test reaction times. 2. Quick Draw: Surprised to see this next? Don’t be! It’s just a simpler version of Fake Draw that’s 100% about speed. This is the game that everyone should start out with. It’s exciting, and it’s the one to which everyone wants to have a go. 3. Ball Counting: This game by itself made me believe in HD rumble. It may not be the most exciting game, but it requires patience and a gentle hand. Seriously, it makes me believe there are marbles in the Joy-Con. 4. Sword Fight: Sword fighting on Wii Sports Resort was fun, but usually turned into a waggle-fest. The motion sensors in the Joy-Cons are much more accurate, and this combat game is the best of them. 6. Safe Crack: Another game that does the HD rumble really well, Safe Crack requires precision. The right rumbles become more difficult to detect as the game goes on, making it quite the challenge. 7. Wizard: Is this one cheesy? Yes, yes it is. But it is fun, and requires strategy. 8. Gorilla: I like this mini-game, but few others are in my camp, so I rarely get to show off my apely prowess. 9. Treasure Chest: Once again, a simple premise, but shows off the motion controls of the Joy-Con well. 10. Shave: This one is fun to play and entertaining to watch especially if they throw you the buzz cut challenge! 11. Copy Dance: Give the Joy-Cons to the goofiest and most flexible people in the room for this one. Trust me, it’s hilarious. 12. Air Guitar: This one definitely had to be made, and it is fun to play. Most of the times I’ve played this game the Joy-Con seemed to track the beat well and not reward waggling, but in more recent play sessions, it seemed like the biggest waggler won… Try it a few times for yourself. Now we take a step down from the good into the… meh. 13. Milk: Yes, it looks ridiculous, but people enjoy laughing at each other. It’s inevitable that this mini-game will continue to be a staple and will be immediately associated with 1-2-Switch till the end of time. 14. Boxing Gym: Requires quick reflexes, but I’m not really certain how well it reads the different punches. 15. Baseball: The presentation on this one is nice. It’s like Wii Sports Baseball, but without looking silly, and you use your ears as opposed to your eyes. It’s all about reading your opponent. 16. Zen: Not moving as a game… I think the premise works, but it’s not exactly a rip-roaring time. 17. Eating Contest: It’s fun to watch people play, but can be really frustrating if you are playing and it does not read your movements. On Nintendo’s behalf I did try putting the camera in front of my hand and puppeting mouth movements and it didn’t work at all, so the camera CAN tell the difference between my mouth and my fingers. 18. Dance Off: It’s a good premise, but copy dance is more entertaining. 19. Samurai Training: Maybe it is just because I am a sore loser, but I do not really care for this game. 20. Beach Flag: Beach Flag is kind of a waggle-fest that wears you out. I enjoy it, but I haven’t found one other person who does. 21. Runway: Once again, humorous to watch, and it requires technique! I brought 1-2-Switch to school for my students to play one day. One of the boys won EVERY time because he had the hip sway portion absolutely pinpoint perfect. 22. Signal Flag: JUST making the cut as an actual game, this one is about concentration and not plunging a pencil into your ear at how annoying the voices are. The Switch acting as a mirror of the person playing this mini-game. None of these are playable. Turn back now. 23. Telephone: Pick up the controller when you hear a certain sound. That’s it. Also, be careful when you do. It is easy to drop the Joy-Cons. 24. Soda Shake: I understand the premise of this game, but apparently, the developers didn’t. The demonstrational video doesn’t explain it at all! When the last guy loses, they all rejoice, including him! I guess they’re just excited to have whatever’s in that bottle… and to be done with this non-game. 25. Table Tennis: Good idea, poor execution. You’re always going to be missing the timing. The Wii Play version was better. And yes, I meant that. 26. Sneaky Dice: This game is so complicated that I had to explain it to anyone I played with after the instructional video, and they still didn’t understand. Flip a coin. You’ll have more fun that way. 27. Joy-Con Rotation: THE most frustrating thing. You play on a table, someone will bump it. You play on the floor, it had better be hardwood and no one should be moving. Like, at all. Even after that, it will give you hypertension, then make you question your life decisions. My recommendation is to dupe two friends into playing it, then standing behind them saying, “Careful, Spongebob. CAREFUL, SPONGEBOB!” and laugh hysterically after they impale your eye with the Joy-Con because it was worth it. 28. Baby: Why? Why did they think this was a good idea. Better yet, what audience were they going for? For people who don’t have kids, is it supposed to be a method of birth control? For people who have had kids, why would they want to relive the most annoying part about having a baby? It’s baffling that anyone thought this would be enjoyable for any audience. Why? WHY!?!? All in all, there are more good games than bad in this collection, and I think it is the new must-have for any party or large get-together. It showcases what the Joy-Cons can do so well, and for that reason, it is the next necessity in the Nintendo Experience as well. If we can live through ten bombshells like these ones, we can face just about anything. For a full hour last week, Nintendo streamed live from the stage in Kyoto and presented us with announcement after announcement regarding their new home console, Nintendo Switch. We learned the console’s price, release date, online capabilities, Joy-Con technology, and much, much more. But which of these huge pieces of news do we regard as the most important? And which announcements are we remembering fondly, rather than with a sour taste? Watch this video for a complete rundown on the ten most important moments of the January Switch Presentation! Too bad Simeon had to go deal with that stranger from another dimension… in other news, Glen’s sharp face and soothing voice make their internet debut! We’re here to discuss every aspect of Nintendo’s full Switch unveiling from the January Presentation! Launch details? Games? Hidden features? We’ll discuss every bit. Jump in the chat and let us know what you think of Nintendo’s new console coming in March!